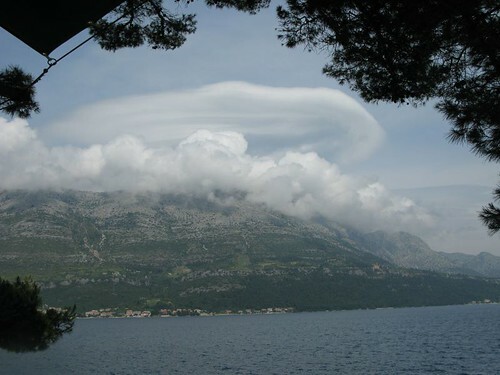 We were charmed to look up at the mountains across the water from Korcula to see this cloud formation. 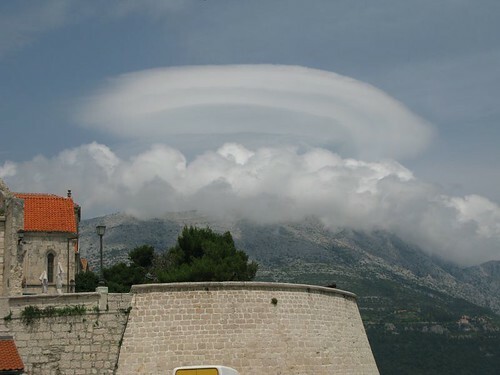 I had never seen a cloud like this and wondered if it was a local phenomenon or whether we were just unobservant. 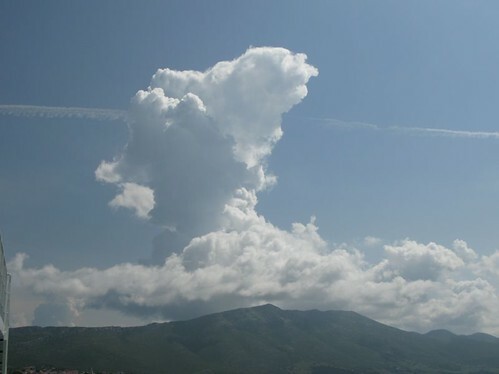 It remained over the peak for a long while and slowly developed. I don’t think it is related, but that night we had a thunderstorm and a half. The lightning was right overhead and the thunder claps deeply thunderous. At one point, our window blew open. 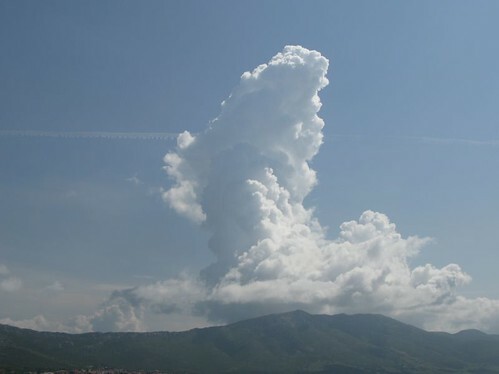 In my search, I came across The Cloud Appreciation Society. Now, I’m ashamed to say I laughed. What! There are people who watch out for clouds and take pictures of them!! And then I paused – Oh . . . . . . .
– and long live The Cloud Appreciation Society.